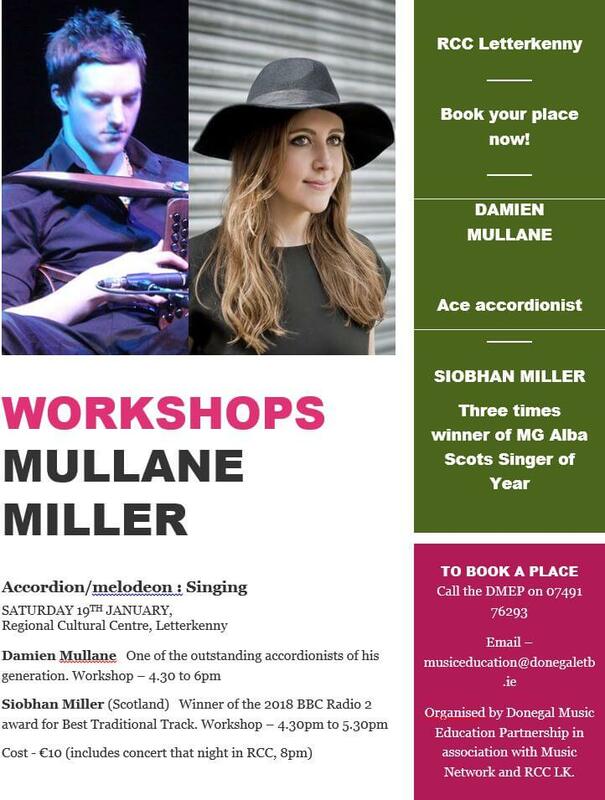 The outstanding accordionist Damien Mullane and renowned Scottish singer Siobhan Miller are holding workshops in the Regional Cultural Centre in Letterkenny next Saturday 19th. Cost – €10, which includes admission to RCC concert at 8pm. Thanks Music Network and RCC for making this price possible! Damien and Siobhan are visiting the town for a Music Network concert at the RCC on Saturday night at 8pm, kicking off Letterkenny Trad Week. Damien, now in his thirties, is regarded as one of the finest accordion and melodeon players of his generation. Siobhan is the only singer to have won Scots Singer of Year three times at the MG Alba Music Awards. 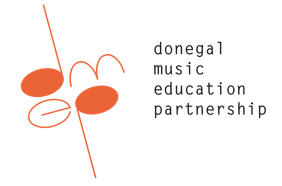 The workshops are being organised by the Donegal Music Education Partnership with Music Network and in association with the RCC. The DMEP´s Martin McGinley said the workshops are too good to miss for anyone playing accordion or melodeon, or anyone learning traditional singing. Martin said: ´Damien has won All-Ireland titles on both accordion and melodeon and began his professional career playing with Frankie Gavin´s De Danann, which tells you all you need to know. He´s played for two US Presidents and worked with everyone from Ronnie Wood to Bruce Springsteen. He´s got a lot to offer our up-and-coming box players in the North-West. The workshops are supported by Music Network and cost just €10. By arrangement with RCC, this includes entry to the Saturday night concert featuring Damien, Siobhan, Muireann Nic Amhlaoibh (vocals/flute) and Anna Massie (guitar/banjo). Places are limited to ten. To book call the DMEP on 07491 76293 or email musiceducation@donegaletb.ie.